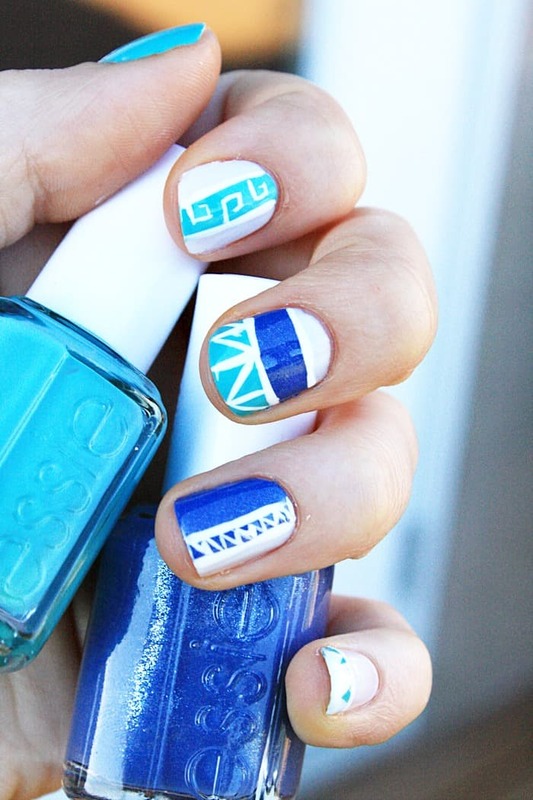 Do you sometimes want to add a little extra flair to your nails, but are not sure how to do that? 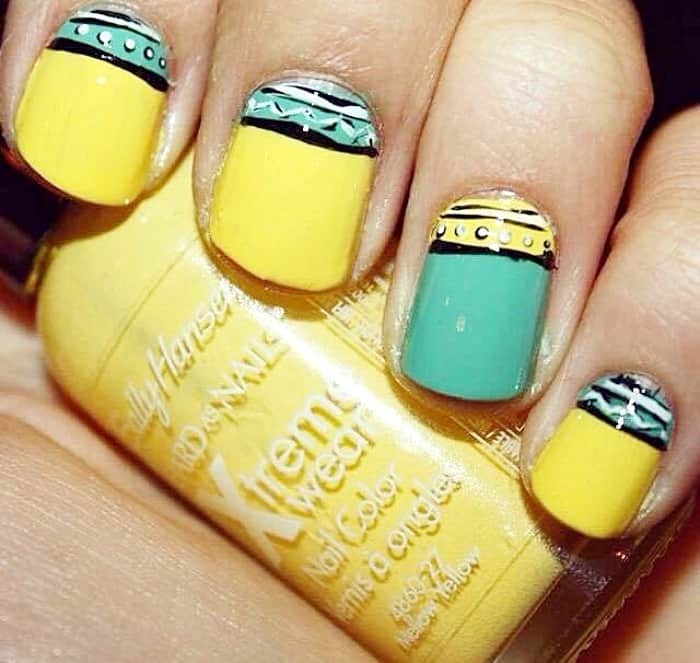 Tribal nail art can be as simple or as complicated as you want it to be. 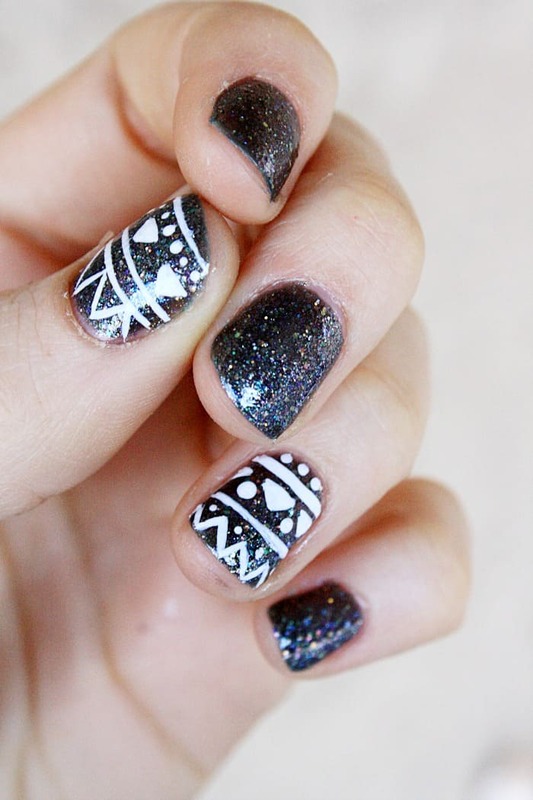 As long as you have one thin tip, in either black or white, you can do this tribal inspired nail art design! Tribal nail art print is really is quite versatile, so I wanted to share with you a few different ideas as to how you can use this idea to spice up your nail designs. These designs are all on the simpler side of the tribal pattern, but I love how they can make a simple manicure look professional so quickly! To make this look all you have to remember is to add lines, dots and triangles. 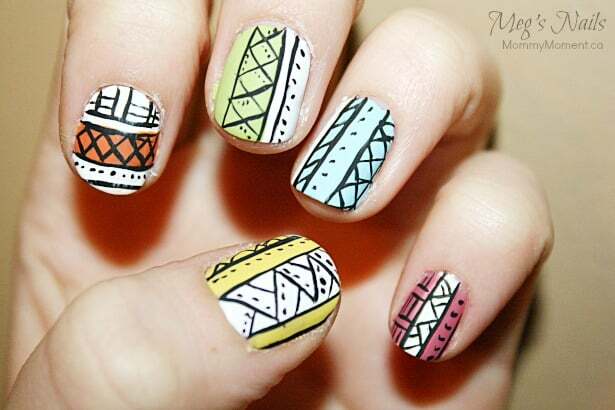 Now just mix those three up in different orders and you have yourself a tribal print nail pattern. You can see that this basic formula can create some very different looks, with endless possibilities at your “finger tips”. Now go and get your creative on and see how a few lines and dotes can take your nail art to the next level. I love the designs of these nails but as the other posted said, I don’t think I would have the patience to do this. There is no way I could do this. I really like tribal nail art. Thank you for sharing these ideas with us.